This is really meant to be an extension/companion piece to the "Settlement Suppliers by Size of Settlement" table on page 34 of the d30 Sandbox Companion, but can also be used completely independently of that chart. 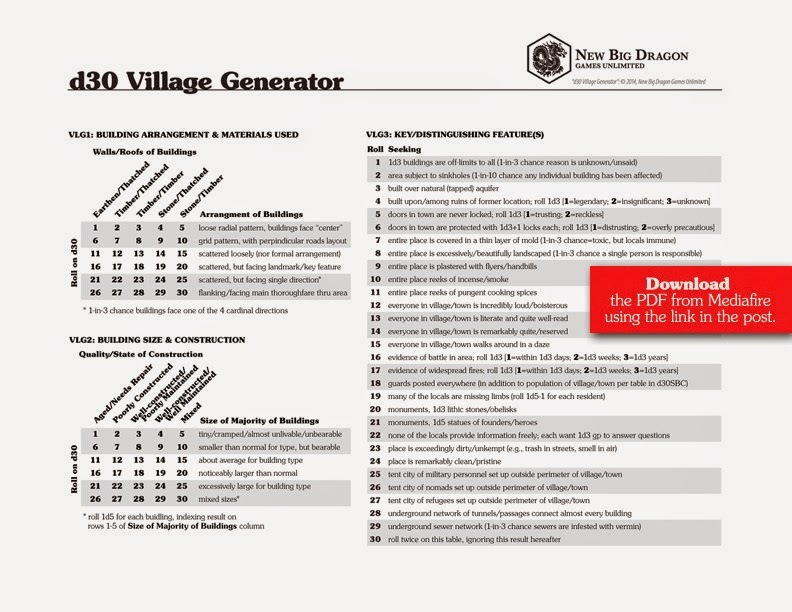 d30 Village Generator from MediaFire. I was actually planning on Village Encounters. But as I was writing it, I realized I was just rehashing adventure generator and NPC detail stuff from the Sandbox Companion. Instead, I focused on the location (as a lot of my charts have this month). The character and story things were pretty well covered in the d30SBC. As for W, I also am wondering. 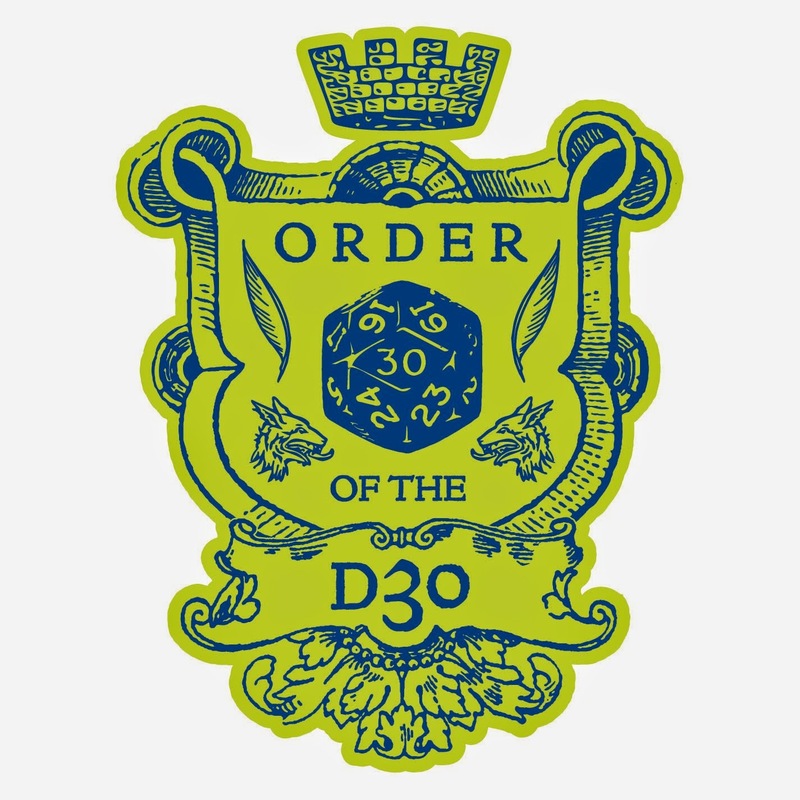 I was planning on a couple of worksheets, but that feels like a cop-out from doing actual d30 charts. I do have a few thoughts... Wizard Encounters, Were-creature Encounters, Water Encounters). They all fill needs. Water Encounters might be really complex (above/under water, fresh/salt water, and Kellri's Encounters book even has size of the body of water). 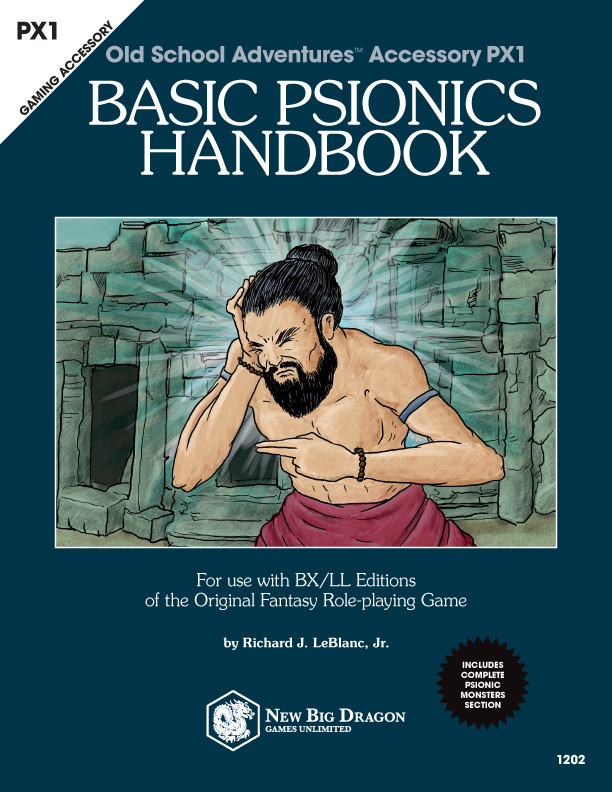 Pity on Village Encounters, as there's a need for something less cumbersome than Midkemia Press's Cities for the little rural communities, but you're right, it will be heavily tied to NPC generation so it needs to be part of a book with that in it.